The Importance of Fraud Protection | BMT Micro, Inc.
Companies work hard to prevent fraud and protect themselves as well as their customers. Unfortunately, fraudsters aren’t going to disappear any time soon. Companies now have to balance fraud prevention with keeping their customers online purchasing experience as simple as possible. It is becoming more essential than ever for companies to take fraud seriously. Here at BMT Micro, we are continually adding new features and functionality so our vendors stay competitive and their customers safe in the world of ecommerce. Our main goal is to ensure the safety of all transactions between vendors and customers. In this day and age, we hear so much about people’s information being stolen or hacked. BMT Micro wants to be a place where customers can rest assured that their information is safe. We want our vendors confident in the knowledge that their product will not be taken advantage of or be fraudulently used. Our vendors and customers are protected throughout the transactional process as well as during the delivery of products. 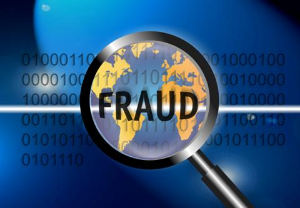 Many companies have been frightened to enter international markets due to the variation of fraud patterns. BMT Micro’s state-of-the-art fraud detection system automatically screens orders and puts questionable orders through a manual approval process. Companies no longer have to be frightened by the variations of fraud patterns when selling country to country. BMT Micro handles orders for a multitude of vendors and developers worldwide. We are proud to partner with you and to be your choice of payment processor. BMT Micro continues to strive for an excellence in service. We are always working toward timely, safe and adept transactions procedures for all our vendors and customers. BMT Micro continually makes sure that online security measures remain a priority. If you have questions or concerns about your current fraud prevention or if you are interested in learning more about BMT Micro’s offerings please contact our vendor services at vendors@bmtmicro.com.